The Royal Hotel has established a well deserved reputation over many years for great accommodation, fine dining and most importantly, the best of service. With outstanding views, a local golf course, the golden sands of Dornoch Firth, a museum, documenting Tain's near 1,000 year history and dolphin watching at Nigg the Royal Hotel is an ideal holiday base to explore the stunning Highland scenery. 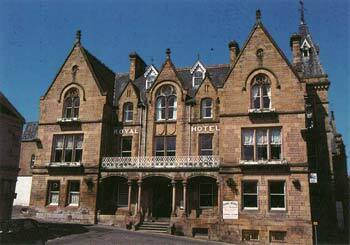 A warm welcome awaits you in the Highlands at our Scottish Victorian hotel.